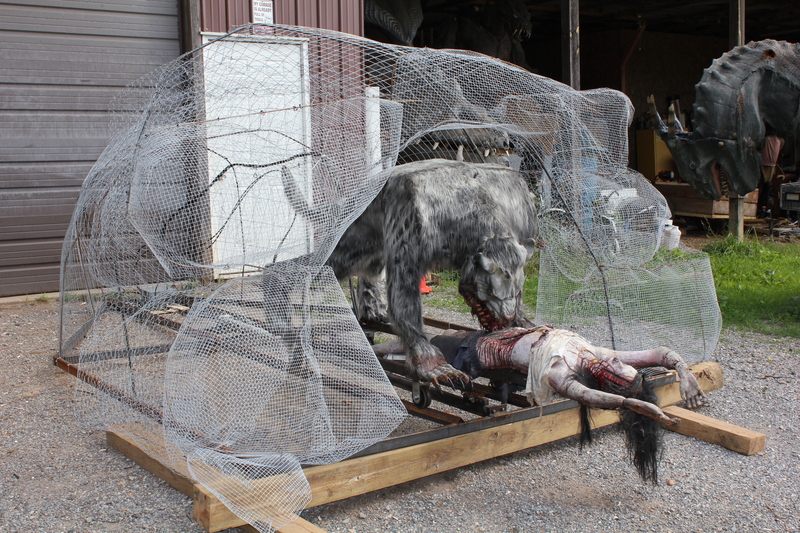 Our build crew is working on a new custom Werewolf prop that will be featured in the Westworld Haunted Trail this season. All the animatronics have been made and programmed, and all we need to do is complete the stone facade and paint the structure. The action on this prop is amazing. The Werewolf shakes the victim violently back and forth, then looks up and growls at you. Then he bites the girl and drags her back into his cave.Very cool!! 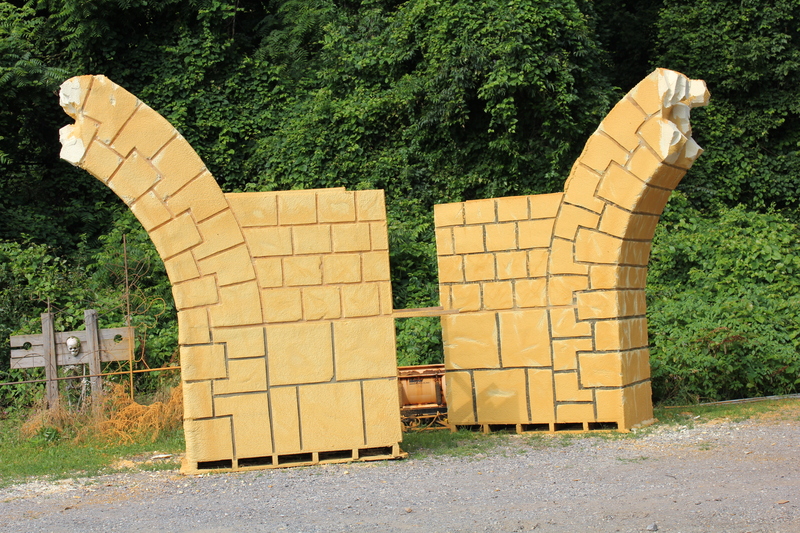 We are adding to the grand entrance of the Haunted Hayride with two huge arches towering above the wagons as they enter the trail. Watch for special effects as you pass them! 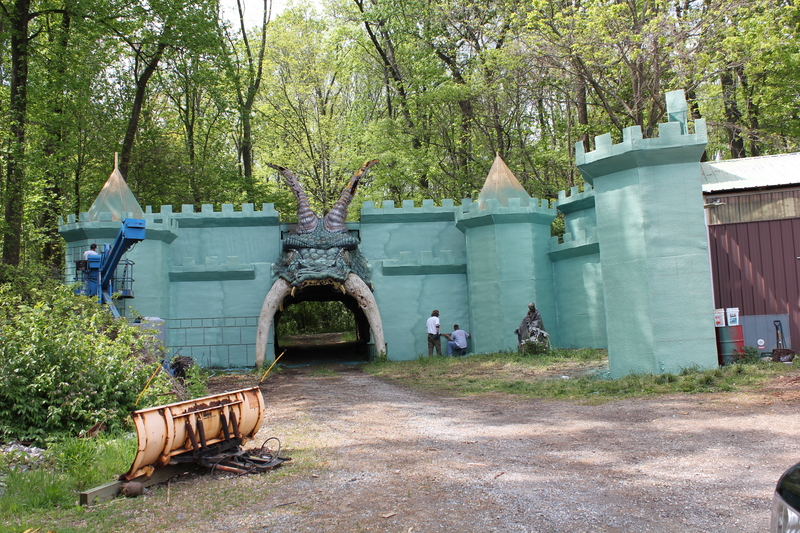 The Bates Motel build crew have been hard at work upgrading the Hayride Castle. We have added taller parapits, longer walls and new surprises! 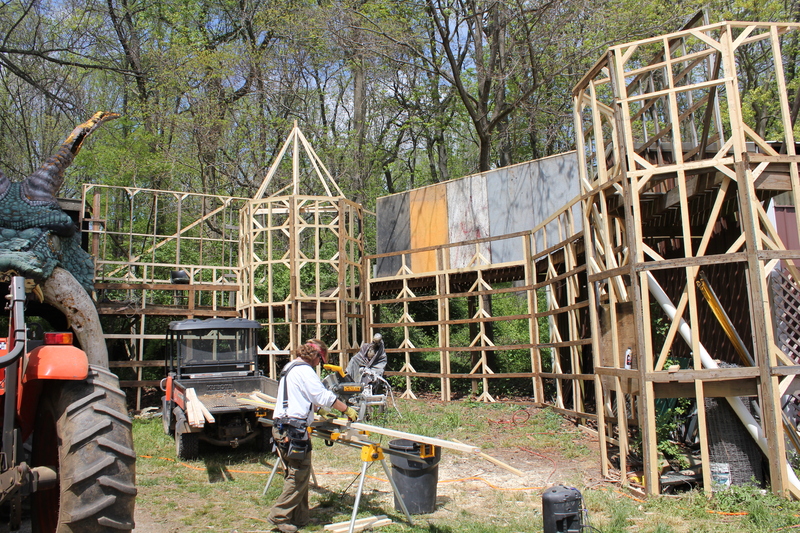 Here you can see Joe working on the framework to strengthen the structure. 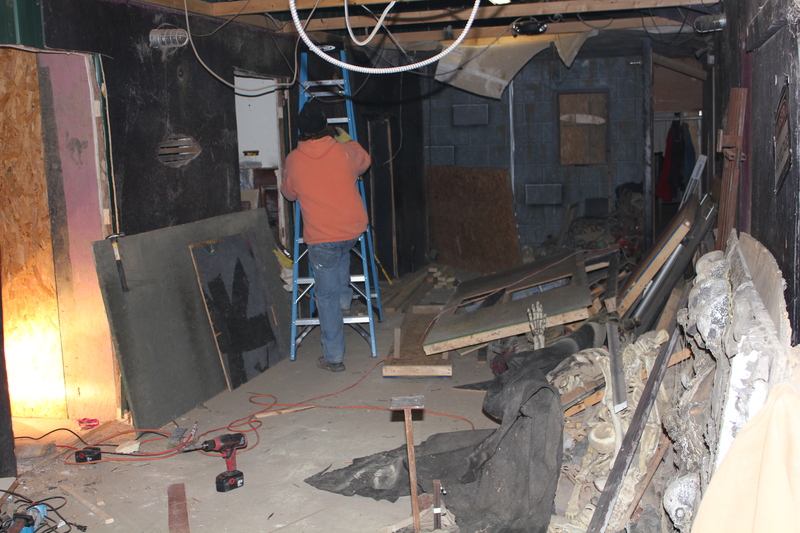 The build and design crew have been working all winter to renovate and improve the number one Haunted Attraction in America. 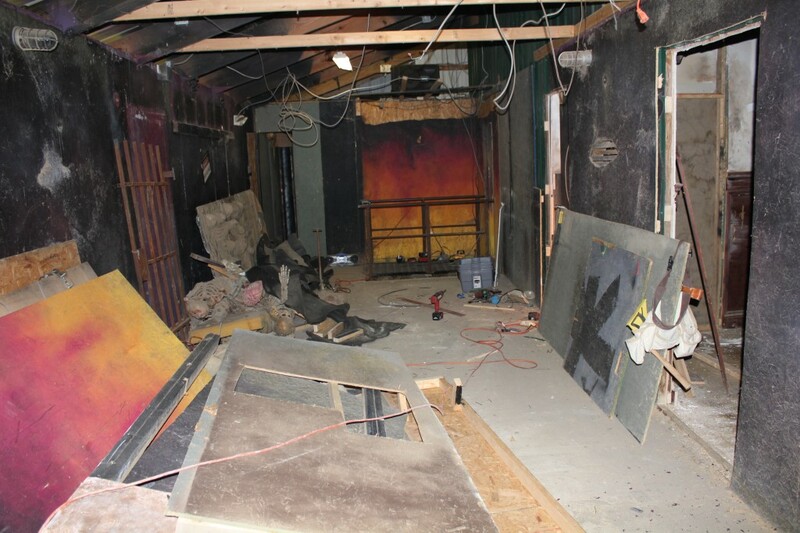 They have ripped out five entire rooms and hallways and have plans in place to make this awesome attraction even better for 2012! Don’t forget to visit Pennhurst Asylum, America’s Scariest Haunted Attraction. The Bates motel and Haunted Hayride has been chosen to be featured on the “Top 10 Scariest Haunted Attractions” and the production crew will be filming at the Bates Motel Friday night, September 30th. This is your chance to be on national TV as this show will be aired throughout the month of October. Come out and see all the new sets, props and amazing actors we have added this year and scream your heads off for the cameras! 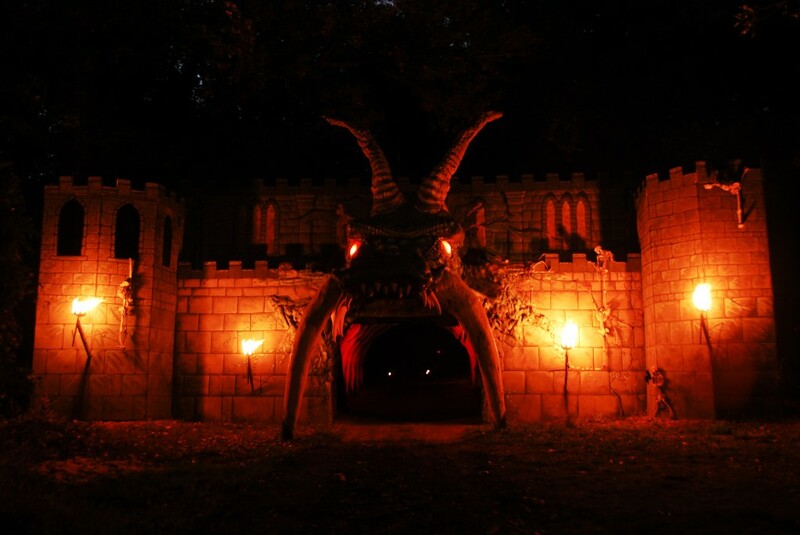 Gates open at 6:30 and our attraction will be up and running at 7 pm. Here’s a link to showing us ranked as the best in the country! 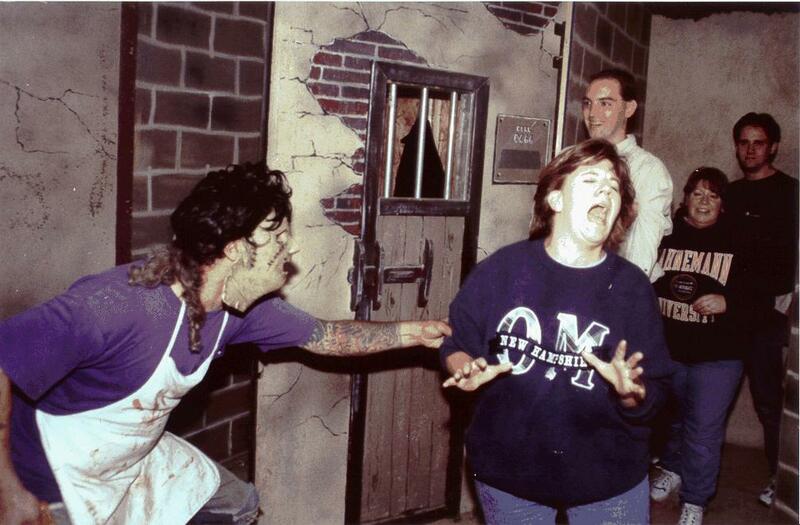 No other haunted House produces screams like the Bates Motel! Click here to purchase early bird tickets for this weekend only. The Bates Motel and Haunted Hayride has once again been rated the best Haunted Attraction in America by Hauntworld.com . To celebrate we are offering a 25% discount on all V.I.P. passes and Combo tickets. Click here to get the discount or go to http://www.thebatesmotel.com/, click buy tickets now, then put “blog25″ in the promo code location. This offer ends Friday September 9th at midnight. 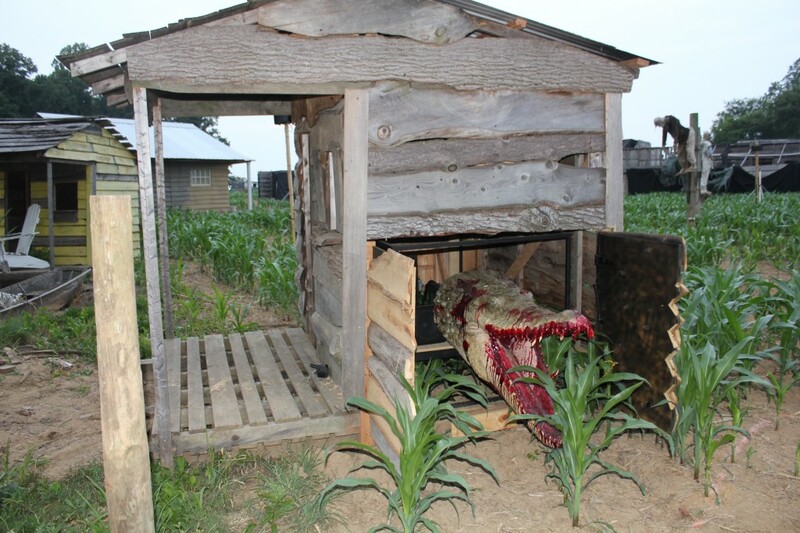 We have undergone major renovations to the Haunted Hayride and Bates Motel that will offer you the best Haunted Attraction experience ever! Even the Haunted Trail has new monsters and a huge new pond surrounded by alligators. Don’t forget to check out Pennhurst Asylum, our other major Haunted Theme Park, located just 45 minutes away in Spring City, PA. Click here to get the 25% discount tickets for the V.I.P. and Combo tickets. Rated as the scariest haunted Attraction in the country, Pennhurst now has 4 major haunted houses; Pennhurst Asylum, Dungeon of Lost Souls, Ghost Hunt, and the Tunnel of terror. The Bates Motel and Haunted Hayride has been selected as one of the top ten scariest Haunted Attractions in America by the Weather Channel, and will be featured on a special 1 hour show called “Top Hallow Screams” to be aired this October. The film crew from High Noon Productions will be shooting live on September 30th at the Bates Motel. If you want to be on TV, this is your chance. You can buy the Early Bird Special tickets online and save 20% on the combo ticket, and be featured on this show. 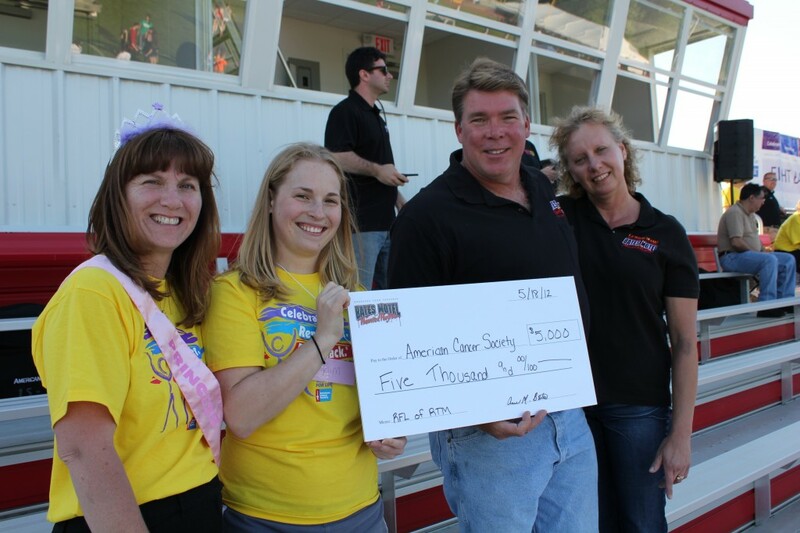 Click here for the fast link. Stay tuned for more updates and info.